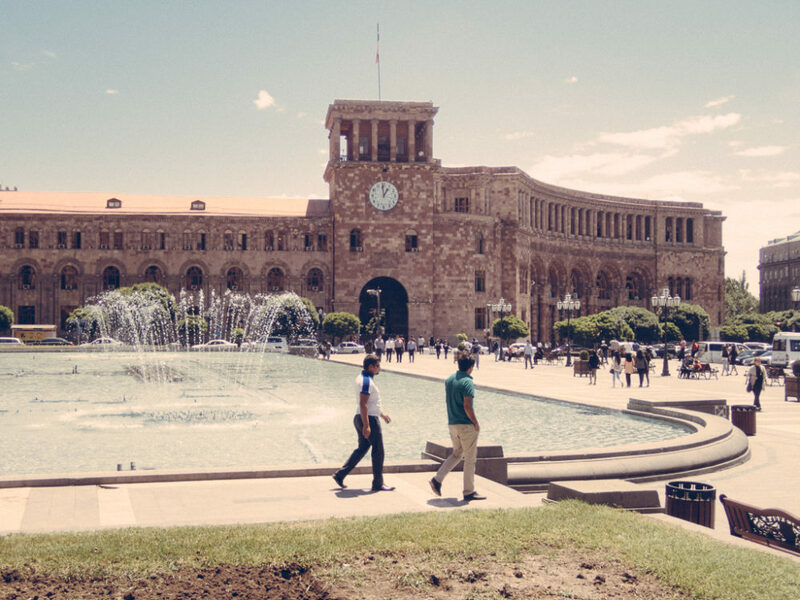 Last May, I had the chance to visit Yerevan for business. 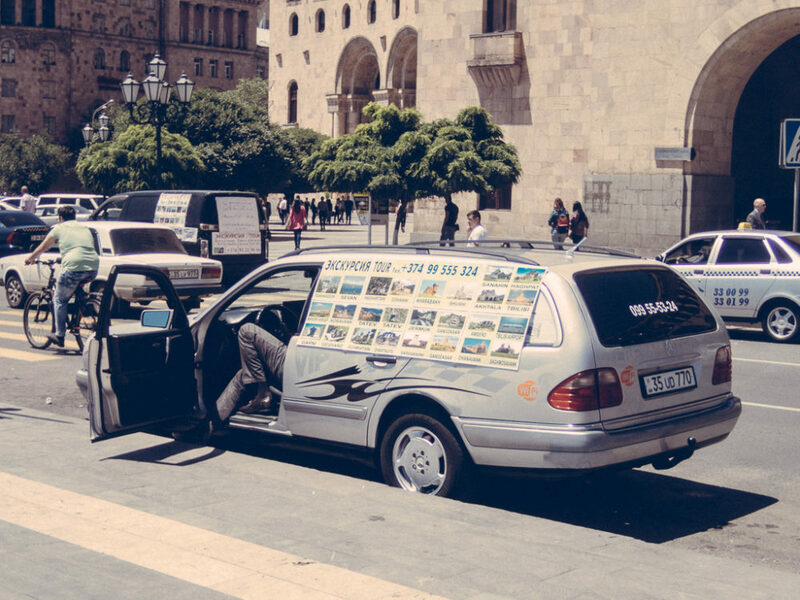 Armenia is not a usual destination for business, but the invitation from Aram was tempting. Aram and I go back a long time, from our Austin years, in the early 90s.I was not sure what to expect out of Yerevan. 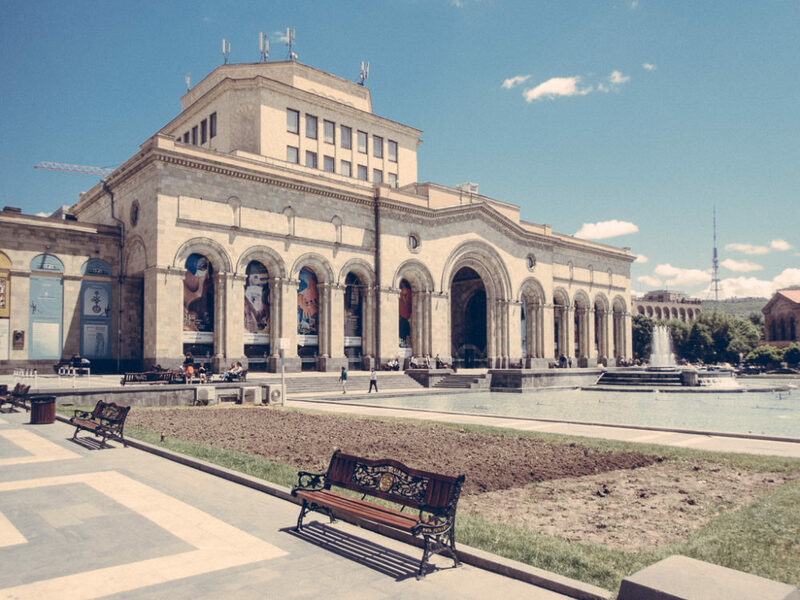 Armenia’s history, culture and geographical position, right on the dividing line between Europe and Asia and the fact that Armenia has been an integral part of the Soviet empire – unlike Bulgaria or the other east European countries – puts Yerevan on a league of its own. The Armenian culture is unique, a fusion of Christian Orthodox, Middle East and Soviet heritages, combined with the tectonic forces of the cultural and economic globalization creates a complex and uneven mixture, like oil and water in the same glass. The city ambiance is surprisingly pleasant. The center has an eerie resemblance to a western capital, as if being in Paris of a parallel universe that tries to rebound. 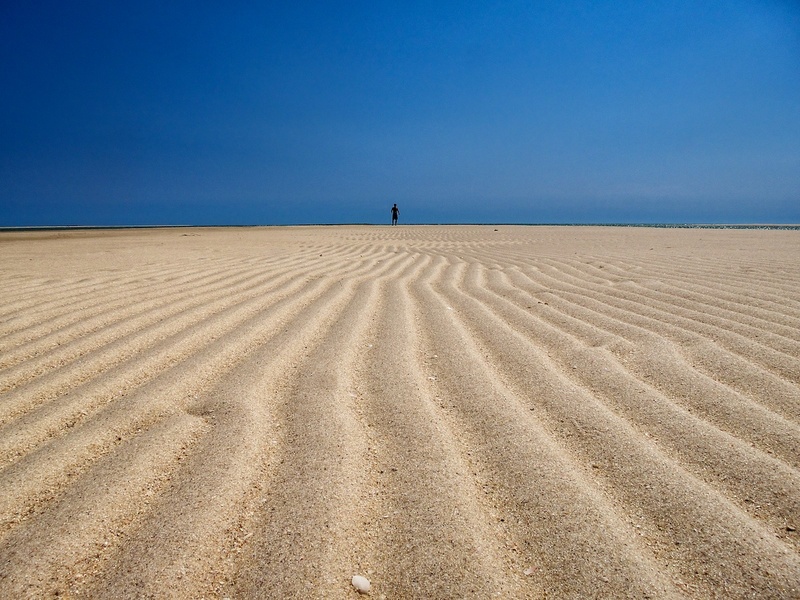 People seem open and remote at the same time, but not in any way you recognize. 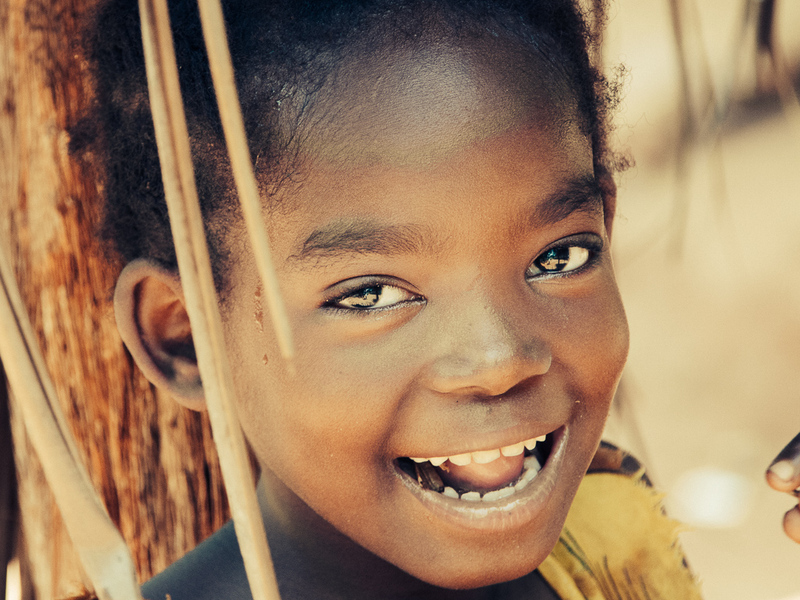 Evident is a sense of social hierarchy that seems somewhat familiar but it was hard to recognize the signs. 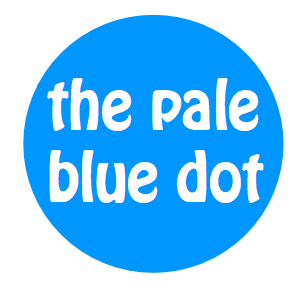 It is an town designed to walk and socialize. And this is what I did for the short two days I stayed there. I spent some wonderful time with Aram, hanging out and eating tasty Armenian food, smoking Nargile (hookah) and sipping coffee in the wonderful open air cafés. I like Yerevan a lot and I will definitely return to spend some more time and visit the country and Ararat. The National Gallery of Armenia on the Republic Square houses significant collections of Russian and Western European art and the world's largest collection of Armenian art. The Government House was built for the Armenian People's Commissariat in 1929. It was designed by Academician Alexander Tamanian and finished by his son Gevorg. A guide waiting for tourists at the Republic Square. 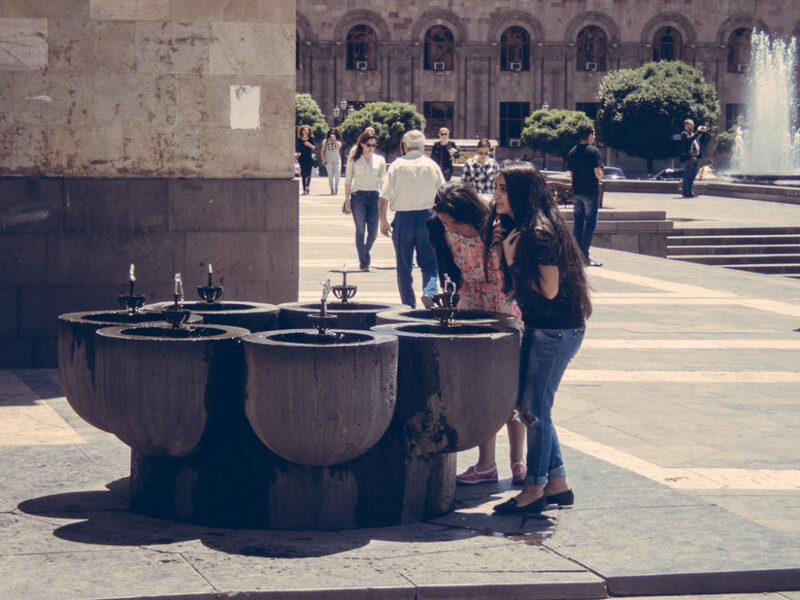 Tourism in Armenia has been a key sector to the Armenian economy since the 1990s as half a million people visit the country every year (mostly ethnic Armenians from the Diaspora). 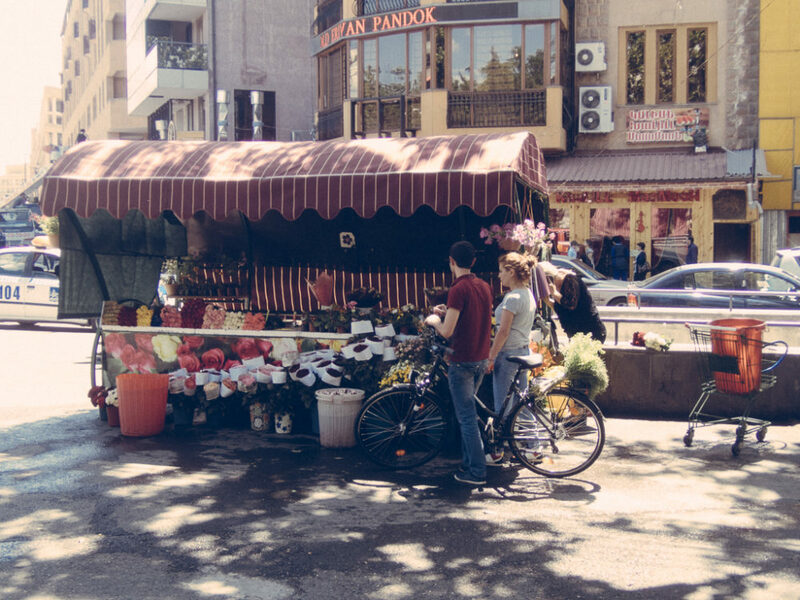 A florist in downtown Yerevan. there are many vendor benches in the center that contribute to the city's character. Northern Avenue, the main shopping street in Yerevan. Although it was planned by Alexander Tamanian in 1924, the actual plan was never implemented during the Soviet period. 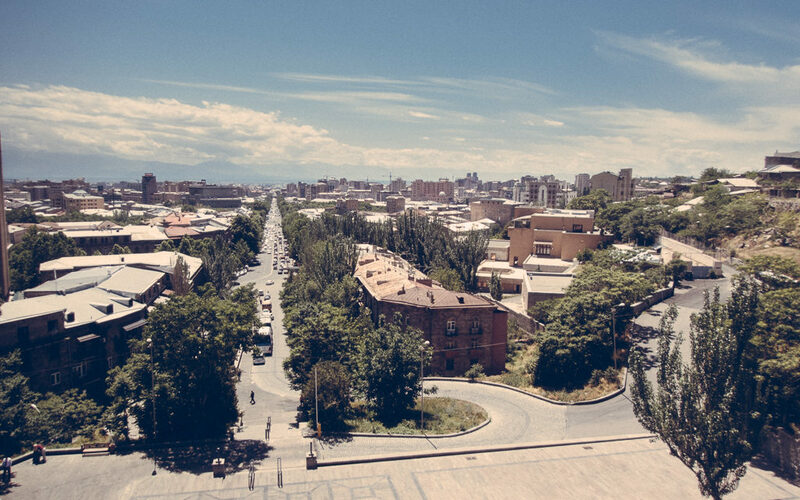 A decade after the collapse of the Soviet Union, the Yerevan City Council decided to set for the construction of the avenue. 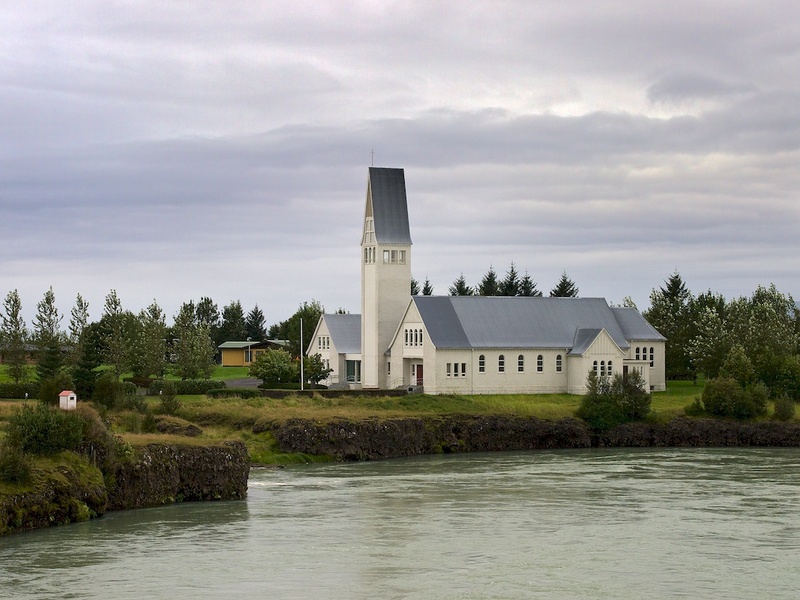 The construction started on 26 March 2002, based on the original plan of Tamanian which was developed and redesigned by architect Jim Torosyan and completed in 2007. One the many fountains in Yeravan, this one at the Republic Square. Most of the fountains are pretty busy during the summer months. Women chatting at the Republic Square. 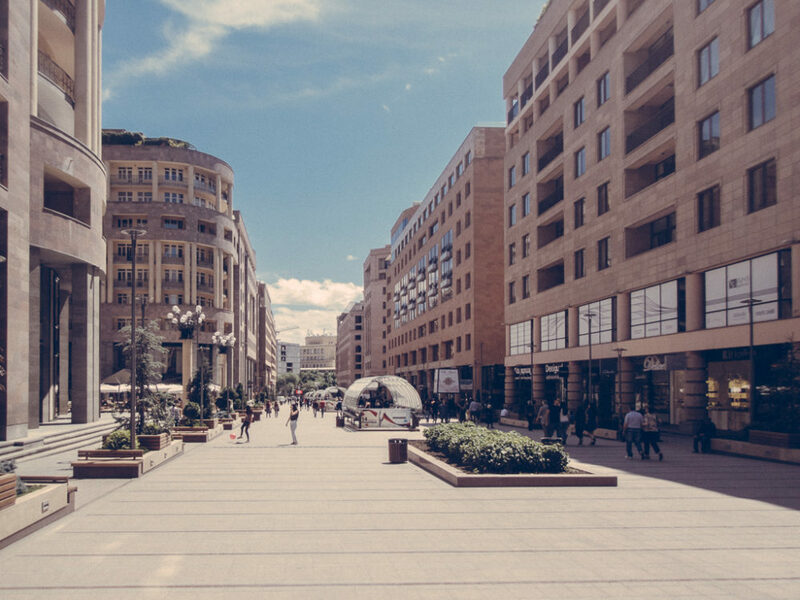 The people of Yerevan enjoy socializing in the open spaces of a city that offers plenty. One of the many cultural events advertised on the walls of the Opera Thater. 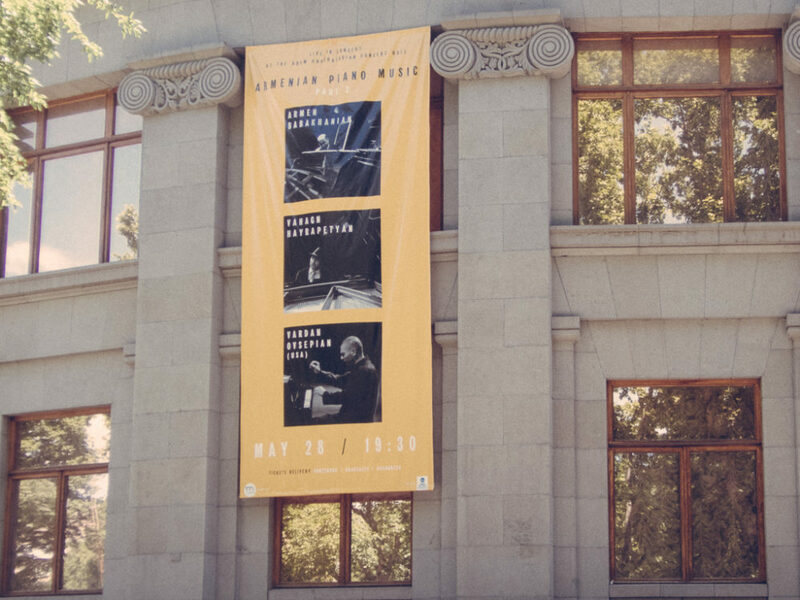 Maybe due to the Soviet heritage, Armenia's capital has a rich offering of music, opera, ballet and fine art events. The Armenian National Academic Theatre of Opera and Ballet named after Alexander Spendiaryan was officially opened on 20 January 1933, with Alexander Spendiaryan's Almast opera performance. 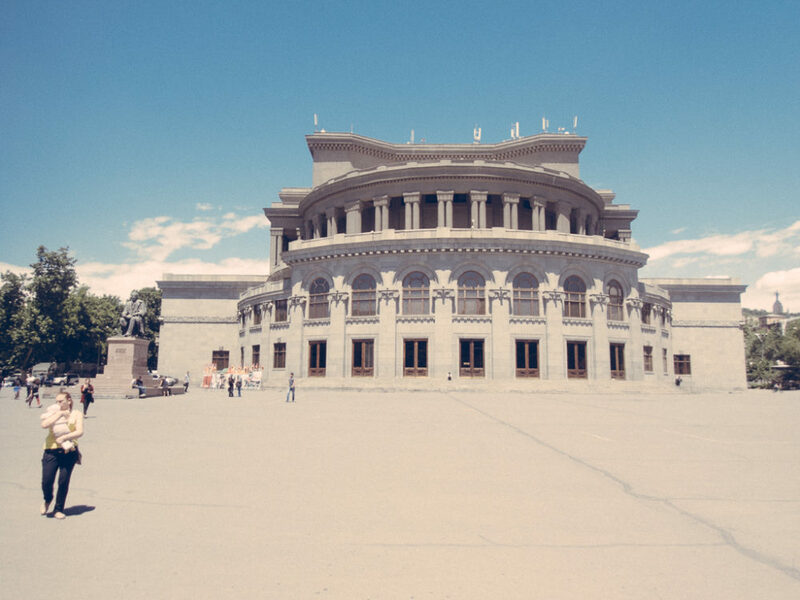 It was designed by Alexander Tamanian and is undoubtedly one of the most beautiful buildings in Yerevan. Soviet era blocks in the heart of Yerevan, right off the Northern Avenue. 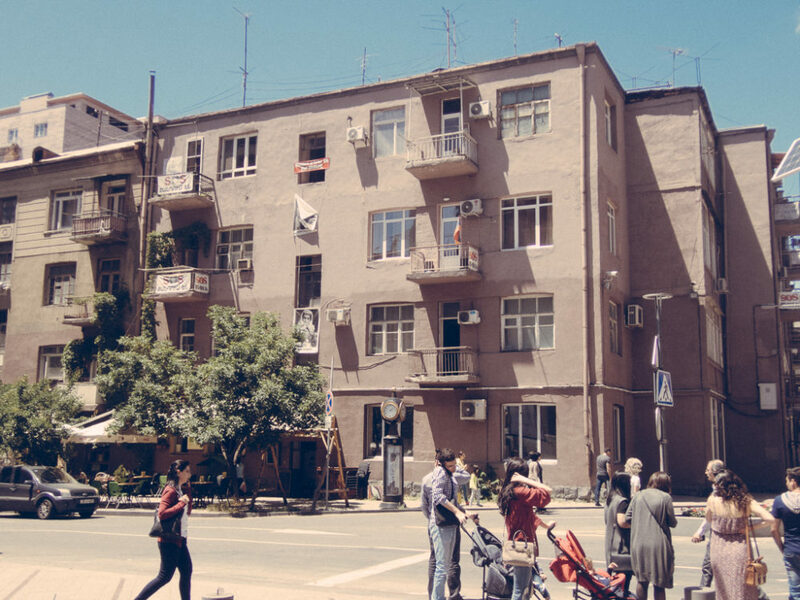 The city's Soviet heritage is not evident only in Arts, but in housing as well. The economic development has not yet been to the point to replace older buildings with new ones, but this is part of Yerevan's character. Kids playing on Nothern Avenue. 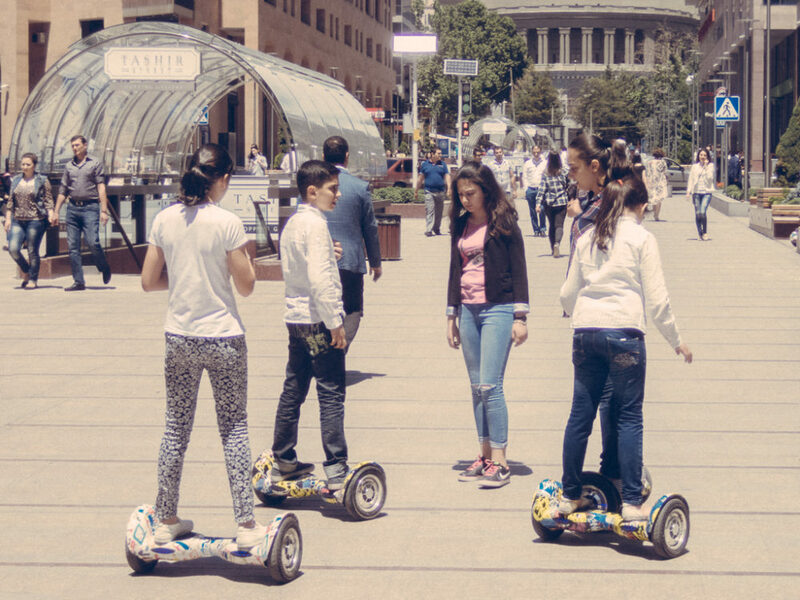 The Armenian youth seems to be very quick in adopting the western manners. The world gets smaller and smaller. Young ladies walking on Northern Avenue. Armenia is still a poor country and this shows in the shops and people's dressing style. 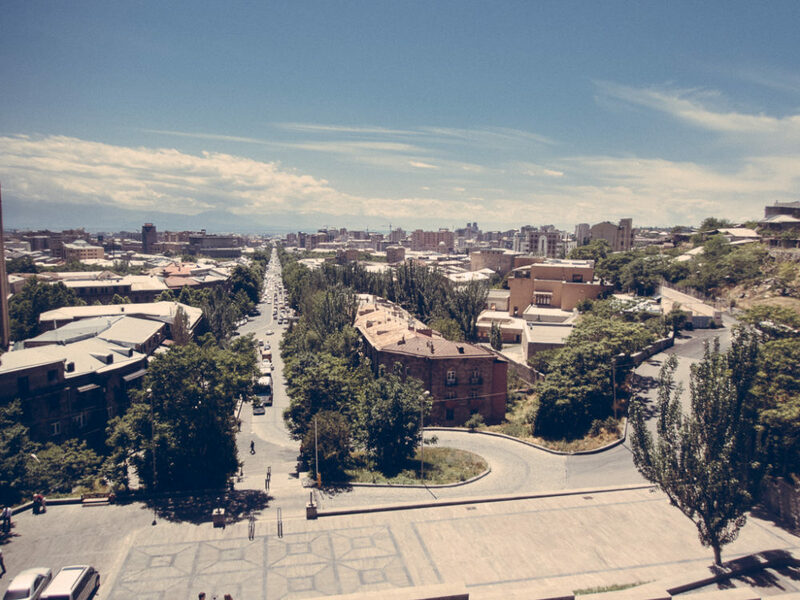 A view of Yerevan from Matenadaran. The city is beautiful, occupied by low rise orange buildings with tiled roofs and a lot of green space. It is for sure beautiful. 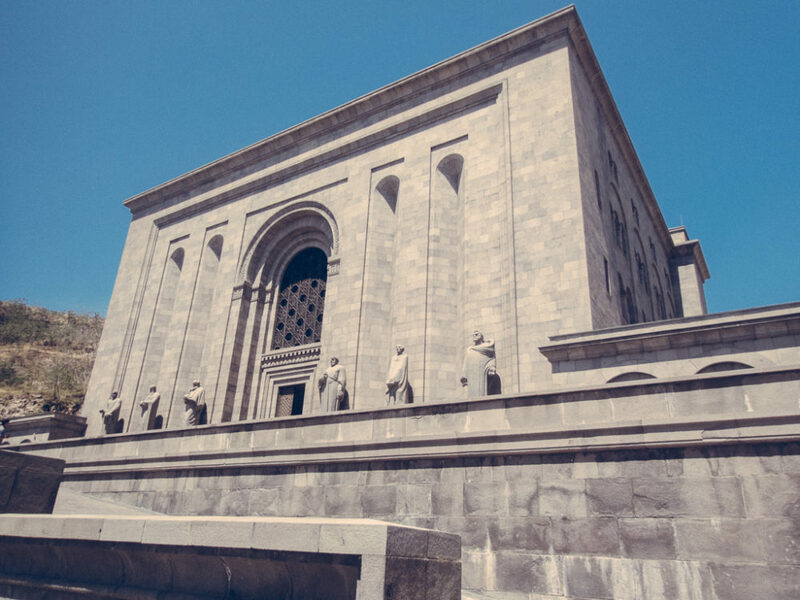 The Mesrop Mashtots Institute of Ancient Manuscripts, commonly referred to as the Matenadaran, is a repository of ancient manuscripts, research institute and museum in Yerevan, Armenia. It holds one of the world's richest depositories of medieval manuscripts and books which span a broad range of subjects, including history, philosophy, medicine, literature, art history and cosmography in Armenian and many other languages. 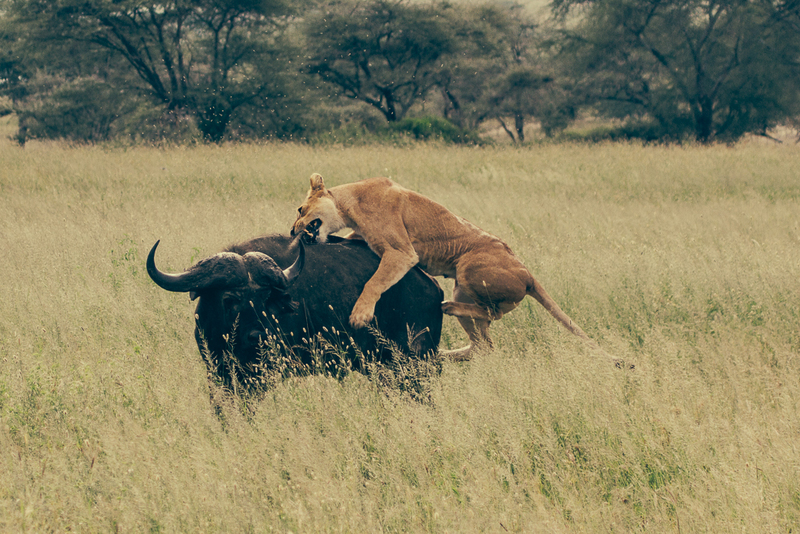 My friend Aram told me that if I see this I will understand Armenia. He is right. Armenia, like my native Greece, evolves around its past. 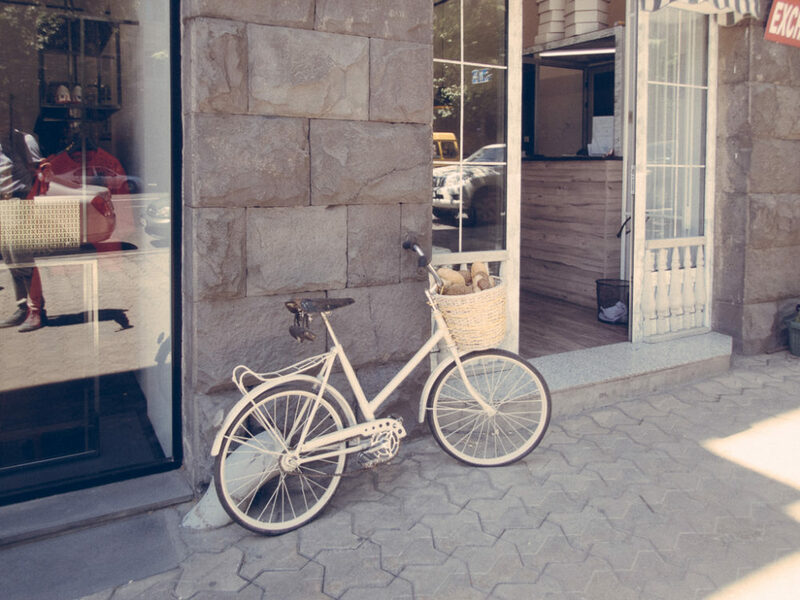 A bakery in the center of Yerevan. Modern stylish shops start to appear in many places around the center.